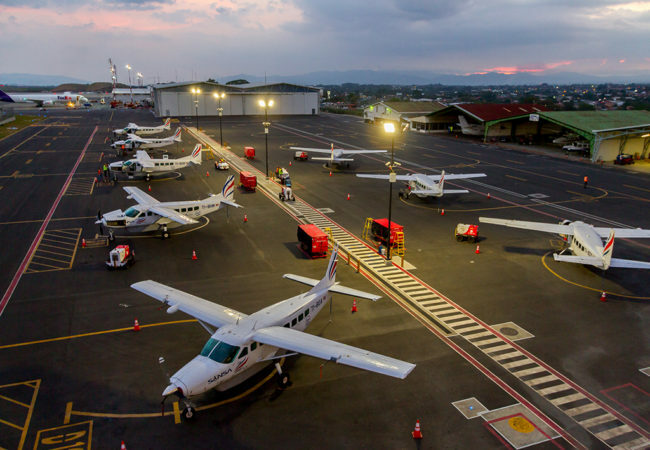 Juan Santamaria International Airport Domestic Terminal – Fish Construction, Inc.
A separate terminal building for Costa Rica’s expanding domestic and charter flight business is now open next door to the SJO International Terminal. 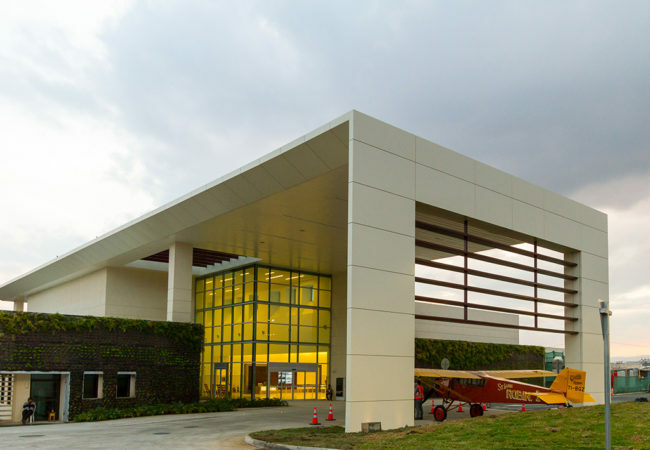 At the end of the airport boulevard entrance sits this new modern building with lush landscaping and the first St. Louis Robin airplane used for commercial purposes in Costa Rica. FCI manufactured the ticket and gate counters featuring a custom front panel with back-lit cutouts in the solid surface and inlaid carbonized bamboo. 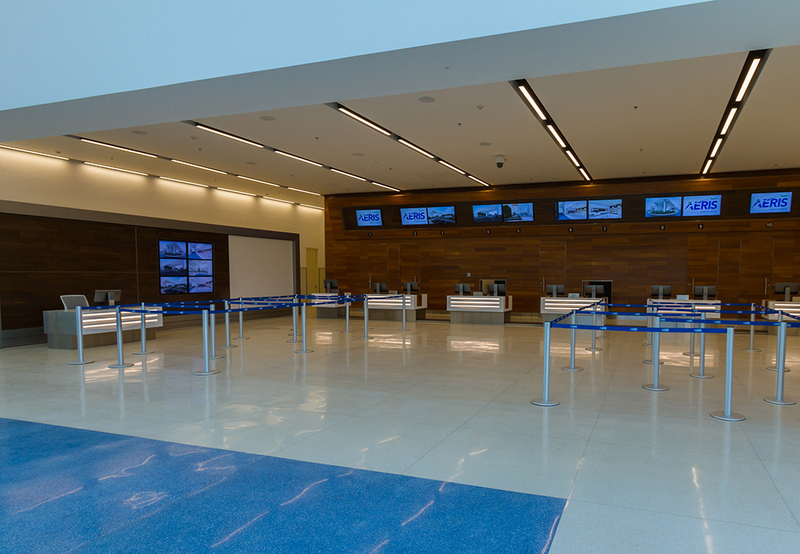 Customized monitor mounts provide for adjustment and cable chases. 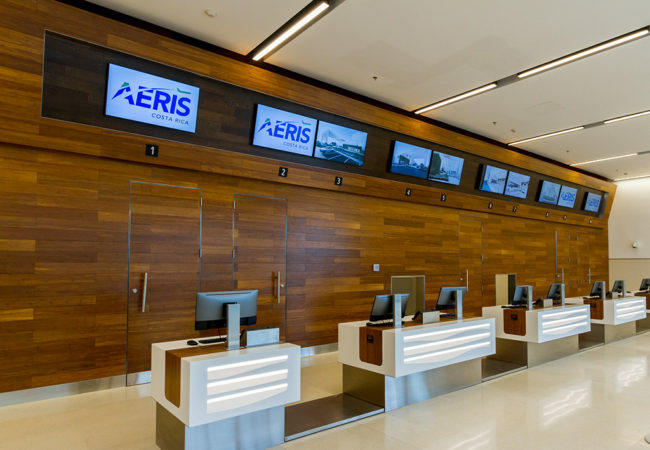 The expansive wood paneled backwalls also feature carbonized bamboo and chase oak material, with large monitors for multipurpose use including FIDS, advertising and other information for passengers and visitors. 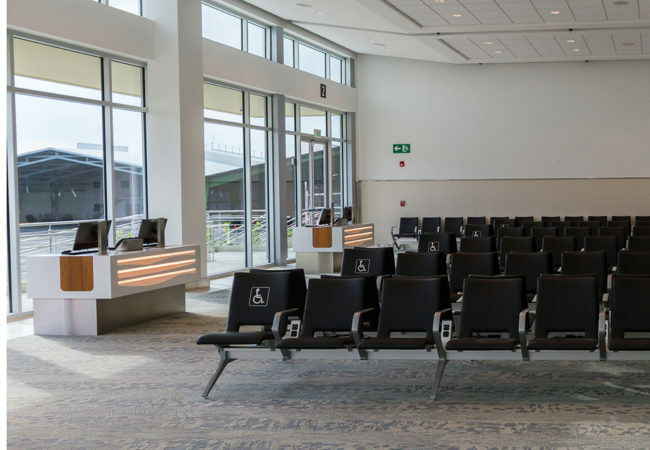 FCI also provided the INS booths, baggage carousels, passenger seating, and a huge stainless steel outdoor sign welcoming passengers to the new Domestic Terminal. 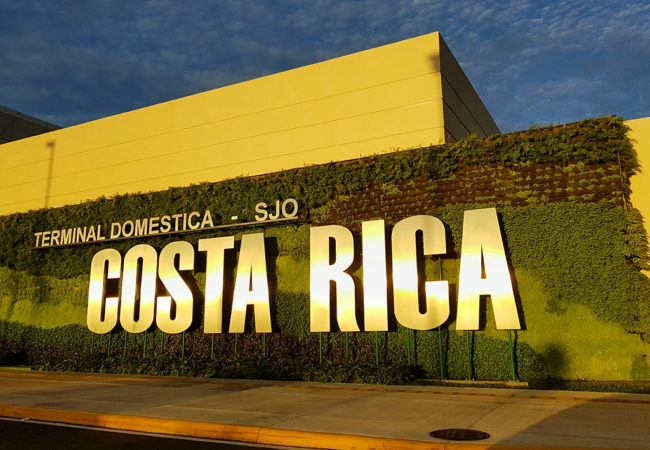 Local artwork and tall glass window walls bring the ultimate Costa Rica experience to the latest addition of this growing airport property. Video of new Domestic Terminal courtesy of SJO.